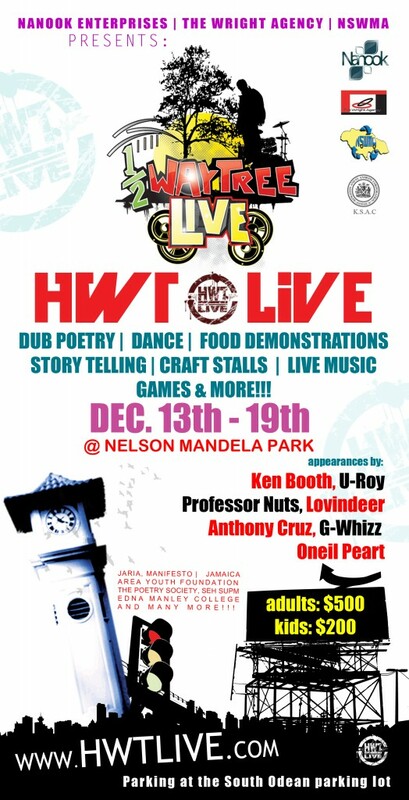 From December 13 to 19, the National Solid Waste Management Authority (NWSMA), Nanook Enterprises Limited and The Wright Agency will be staging “Half Way Tree LIVE”, a series of cultural entertainment offerings, at the Nelson Mandela Park and Amphitheatre right in the middle of one of our national icons, Half-Way–Tree. The Nelson Mandela Park & Ampitheatre is being upgraded and will be used to stage dance, theatre, music, comedy and other cultural performances. Participating groups will include Manifesto Jamaica, the Poetry Society of Jamaica, Area Youth Foundation, Edna Manley College of the Performing and Visual Arts, and Jamaica Association of Reggae Artists (JARIA), among others.